parade in our city just ten months ago. So, rather than drown our misery with more angry analysis of those who are most responsible for the club’s failings, let’s consider a few players who have played well above expectations in 2014. * This article will intentionally ignore Jon Lester, John Lackey, and Andrew Miller because it is just too painful – and not quite the intention of the article. output Badenhop has provided the Red Sox this season. Holt (O/) is rightfully adored by Red Sox Nation, especially Red Sox twitter. He is versatile (1b, ss, 3b, lf, cf, rf – not to mention his natural 2b that he is nightly blocked from playing), a solid hitter (.290/.342/.393), and overall nice guy with a wicked smile. His bWAr is a solid 2.3, reflecting his solid output in every phase of the game. We could talk about his .224/.291/.266 in the second half and what that means going forward, but let’s not. Let’s focus on the joy his game has given us in 2014.
between when he is the receiver. 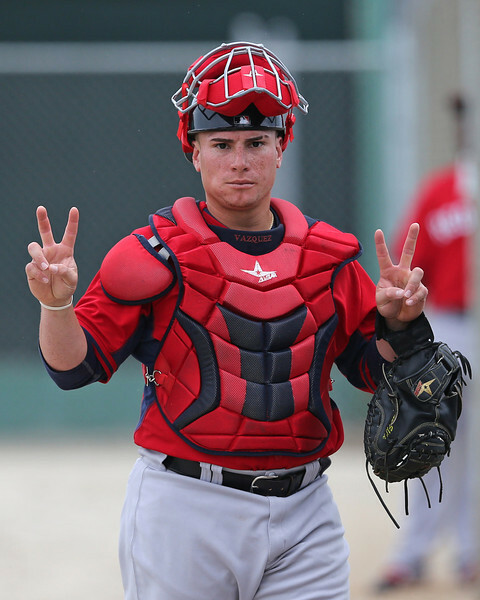 Will he hit enough to stave off Swihart? Who knows, but let’s enjoy remarkably elite – and fun – defense behind home plate for as long as Vazquez’s name is written into the lineup. Sure, it feels like Koji has been pretty bad lately. But even with the struggles, his ERA coming into his blown save last night (also…his Win last night…great stat, that) was 2.28. He backs that up with a 2.66 FIP and 0.893 WHIP. Even as the split has stopped splitting the last couple of weeks, he has still been excellent this season. Really he makes the list simply because his arm is still attached in spite of John Farrell’s best attempts to see it come unattached. If there is a game, Farrell will call him. He is the drug habit that John Farrell cannot kick. He also has a 2.86 FIP, which is pretty good. So there you have it. Rubby De La Rosa and Allen Webster bounce between cringe worthy and exciting. Yoenis Cespedes offers upside and exciting moments.Napoli has been fine, even though his slugging percentage could be higher. All of that said, most of the guys having good seasons are relief pitchers. And that, friends, is how you qualify for a top 5 pick in the Rule 4 amateur draft.